Welcome back to Q&A session #3! 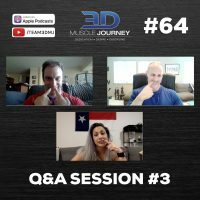 In today’s episode, Eric, Andrea and Jeff answer 5 subscriber asked questions on the topics of: advice for serious but non-competitive lifters, reverse dieting to “fix” a slowed metabolism, the effects of Olympic lifting on muscular hypertrophy, coaching your spouse, and guidelines for minimal calorie and fat intake while dieting. The group covers each of these topics in detail, addressing both the specific situation of the individual who asked the question, as well as how they apply on a global scale. If you are interested in upping your knowledge of practical nutrition and exercise guideline recommendations, be sure to give this episode a listen. 55:00– If someone is a successful competitor in cross-fit and wants to compete in bodybuilding, what is the best way to balance this? 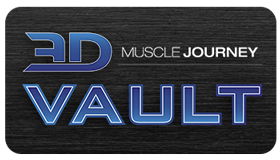 1:15:52– Within the context of a contest prep, how low is too low for cutting calories/macronutrients?